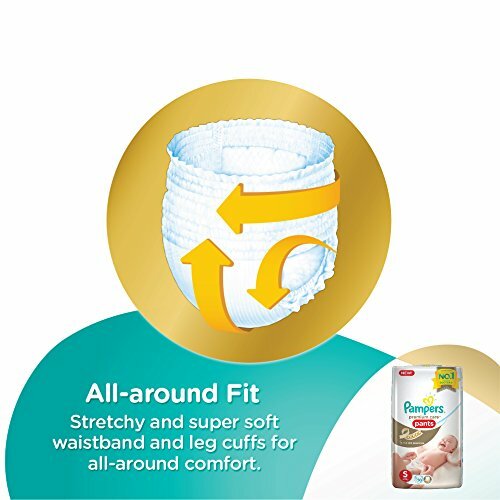 Keep your little one clean and comfortable by using this Pampers Premium Care Pants. 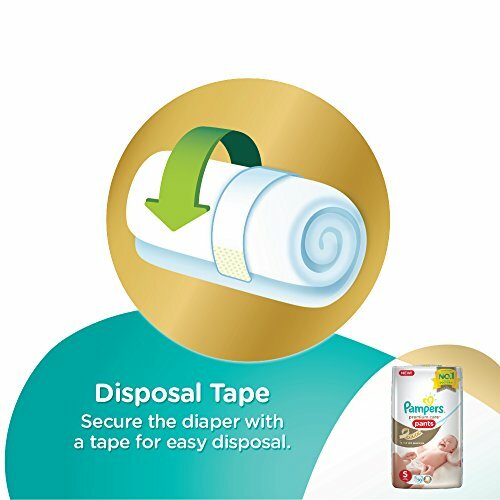 Made from silky soft materials and with its Top Dr Layer, this diaper ensures to provide comfortable sleeping hours to your baby. Silky Soft Materials It helps in keeping your baby’s skin soft and comfortable…. 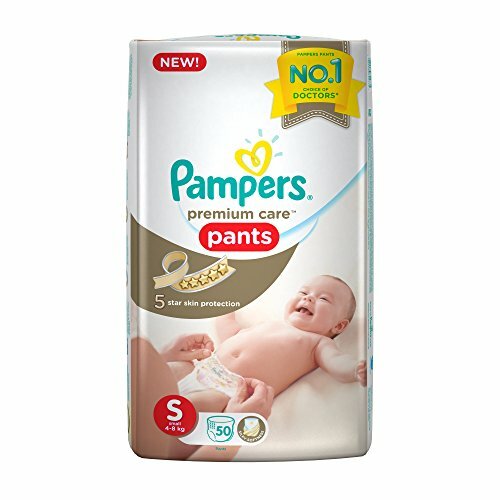 Keep your little one dry and comfortable with the Pampers Premium Care Pants (50 pieces). 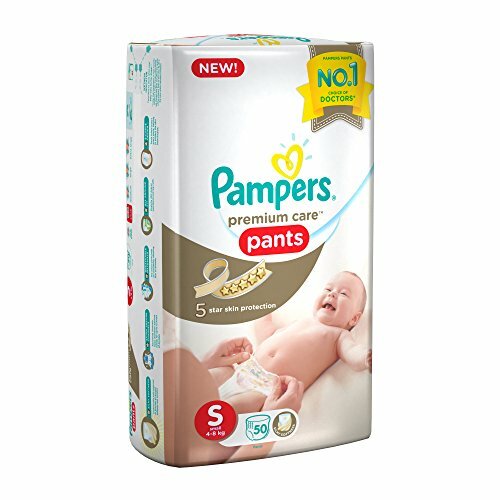 Designed to offer utmost skin protection, these diaper-pants are made of Silky Soft materials. They feature Three Absorbing Channels that evenly distribute wetness and keep your baby dry. It’s made of Silky Soft materials to keep your baby’s skin comfortable. These channels lock wetness and distribute it evenly to keep your baby dry. The Top Dry Layer helps absorb wetness to keep your little one dry and comfortable. 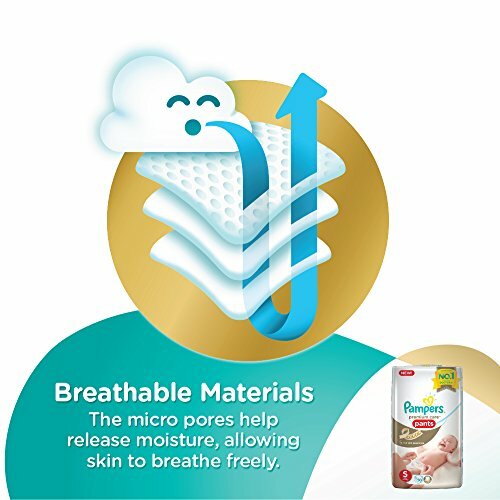 Your baby’s skin can breathe easily, thanks to the one million micropores that let fresh air in. The S-Curve Design adapts to your baby’s movements to protect his or her skin from friction. 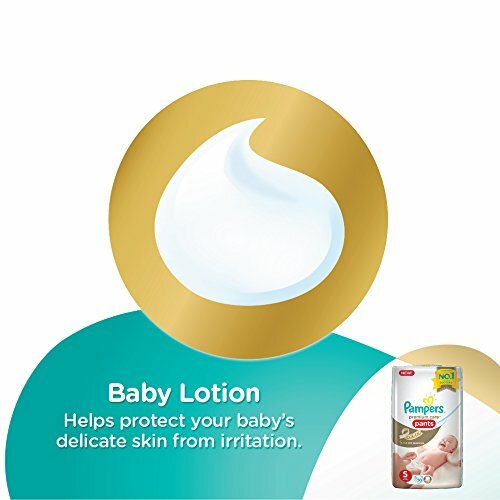 This product is infused with a mild lotion to ensure your baby’s skin doesn’t experience irritation. You don’t have to frequently keep checking on the diaper. 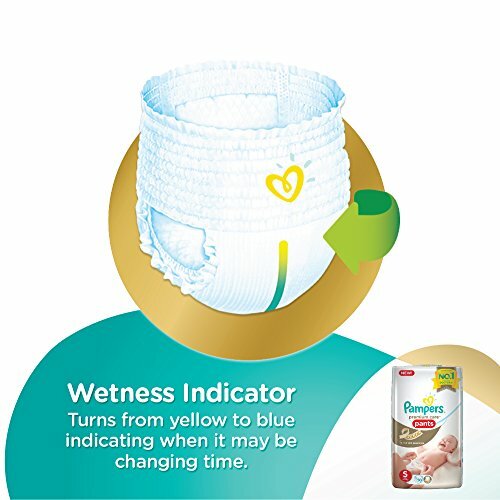 It automatically turns from yellow to blue, indicating that it’s time to change the diaper.